What does it mean if paying for health care will soon take your entire paycheck? Taking care of yourself is rapidly becoming an economic issue of staggering proportions. In fact, you may want to grab a salad on the way home and get right on the treadmill when you get there. The day is coming in less than 20 years when health care costs may consume your entire paycheck. In other words, illness will one day soon simply be unaffordable. A new report by the Annals of Family Medicine suggests that less than 20 years from now, the average American family's medical costs will surpass their entire income. It's no secret that health care costs have been growing faster than just about everything else in this country for decades. And while that trend has slowed somewhat recently, the authors of this study say medical costs are still going up. In 2009 and 2010, total spending on health care grew at a slower rate than any time on record. But it still grew, and it's going to keep on growing. Then of course there's so-called Obamacare. Critics say the president's controversial health care reform plan will only make matters worse. The doctors who put this paper together say Obamacare is a "great first step, but it's not enough to get us where we need to go." You know what's awesome? Taking care of yourself...not being overweight, not eating in excess, being a healthy person. I go to the doctor rarely...annual check-ups. When you treat your body like garbage, you have to expect to pay for it. It means that we are still ignoring the elephant in the room. The only solution is a single-payer, government-operated basic affordable health care system that will give most people at least a shot at minimal treatment. Some of us might even make it without going bankrupt. When insurance company CEOs take home tens or hundreds of millions of dollars in compensation, that trickles down to the prostitutes in Congress who don't respect average people and couldn't care less what happens to us or the country. It's a bogus question. All you have to do is look at Massachusetts since the Romney universal coverage law passed. The rate of increase of insurance premiums has grown at less than half of the rate for the other states. The statement implies that the middle class is going to go bankrupt paying their medical bills. People should be able to get medical care if it is needed, and not go bankrupt in the process. If the government allocated the revenues they receive more intelligently, a public option should be viable. The 2 billion- a-week being wasted in Afghanistan alone could go towards public health insurance. I can’t afford it and don’t have any insurance so I DO know what that feels like. It’s cheaper for me to just pay for the office visits and prescriptions myself. We will just have to give up a luxury like eating. We have chosen to ration medical care by personal wealth. So the 99% of us will NOT get necessary medical care and medicine thus we die. Ours is the MOST costly medical care delivery system in the world with only mediocre and falling results. Single payer systems that cover all are cheaper, have better results; and are fair but, no millionaire medical insurance CEO's. Jack: The cost of routine medical will not break the bank, but should a person need surgery, or a contuning illness can break the bank. Cancer is very expensive, and surgery can take 2 surgeons to complete. Many insurance policy will not cover experimental cost for diseases, which there might be a cure. Some medicines can cost $500.00 copay for 30 days of medicine. These are some of the problems family face everyday. Routine medical check ups and exams are not that expensive, but get away from routine medical an it is expensive. Many things are not covered by health insurance. It means something very simple: Wages have been going down for 30 years due to deindustrialization and the war against unions and medical costs are going up as they get more and more privatized and profit driven. There is no mystery to this. My mom has about 20k or so in medical bill's, a car wreck jack. cop sat there and wrote he up a ticket while they waited for the ambulance. this wreck happened 10 year's ago price of medical costs and being able to stay alive in this country, it's just to high to much. Maybe it means we're paying obscene amounts for medical care and prescription drugs. Why can't we be like the rest of the civilized world and enjoy socialized medicine from birth until death? Oh, that's right, as my illustrious Senator Johnny Isakson told me during the health care debate, he would never vote for health care reform because he had to protect the profits of the insurance companies. I kid you not. Jack, I don't know the "meaning" of it, but the cause is that too many insurance companies pay too much to CEOs, lawyers, accountants and actuaries. I wonder how much less we'd spend by paying for preventive care rather than paying for the adverse effects once people get ill. I went through 7 months of therapy and treatments, which were quite painful, only to have corrective surgery to repair a diconnected tendon in my right arm. The next year, I went through the same thing for my right arm, when a simple MRI would've shown the problems right away. Yoicks! The statement implies that the Middle Class is going to go bankrupt paying their Medical bills. The individual Mandate is also going to croak a lot of folks financially. The mandate is nothing but a big fat tax. Now, let's go back to square one for a minute. Most doctor's deserve to get paid handsomely for the work they do. People should be able to get medical care if it is needed, and not go bankrupt in the process. If the government allocated the revenues they receive more intelligently a Public Option should be viable. There 2 billion a week being wasted in Afghanistan alone that could be going for public health insurance. Doug, Pepperell, MA. Jack..this is an easy one...It means change is working. As Pelosi said 'YOU HAVE TO PASS IT TO SEE HOW BAD IT IS"
How is that possible Jack, we've had health care reform ??!! It means it's time to take the profit motive out of healthcare once and for all. And it's not just the insurance companies. There's no reason a doctor should be paid $20 after you urinate on a 50 cent test strip. There's no reason to have every test in the book for an obvious condition or a minor complaint. Lastly, let end of life be end of life and stop with the "death panel" hysteria. There's no need to spend millions of dollars to keep a person alive who probably doesn't want to be kept alive. It means that Health care should NOT be a for-profit industry in this day and age of greed run rampant. Non-profit single payer system would be my choice. It means we are getting screwed by the Democrats and Obama. Somebody has to pay for all those people that are dependent on food stamps, welfare and now free paid up health premiums plus medical lawe suites. The numbers are increasing. Those poor people love Obama, he's taking care of them via the middle class taxes; not only federal taxes but now state and local property taxes. To add salt to the wounds the union leaders/thugs want more from the middle non union workers to pay for therir pensions. . Pretty soon , I predict it's going to be union workers combined with government workers vs the private workers. Eventually it will lead to a revolt and possibly a revolution between the two sides. Look what is happenning in Wisconson. The governor is trying to reign in the costs created by the unions and now there is a revolt against him. It's a bogus question. All you have to do is look at Massachussetts since the (er) Romney universal coverage law passed. The rate of increase of insurance premiums has grown at less than half of the rate for he other states, and less than a quarter of the increase in states like Texas. In Texas, you're pretty much on your own, so you have the highest rate of people with no insurance and the highest insurance rates for those whoi have insurance. Don't worry Jack. I'm sure you're covered by govenment healthcare provided by Medicare. And CNN provides more than enough to close the differences. It means greed, dishonesty, and corruption is rampant everywhere in American soceity. From the crooks in Washington who create the illusion of leadership and government, to the gulible ignorant masses who will forever continue to vote with ZERO knowledge or care of what they are perpetuating. It is all a cruel charade with nothing to stop it. The formula is cast in granite. Soon, only the rich will have health care. We have millions out of work and millions more without health care. Every time we use a hospital we are paying for someone who doesn't have insurance. If we are already paying for it, why not just cover everyone. It means all the lobbyists for Big Pharma, insurance companies and medical cartels, can raise their heads high with pride knowing that they have done everything in their power to wring every penny possible out of every person in America. Oh, and thanks Congress for watching our backs on this one too. Hey, Jack, how about a segment on how many Congressmen own massive blocks of stock in pharmaceutical companies? It means that health care costs are out of control and we need to do something. However, ObamaCare was not the way to go about it. ObamaCare is such a patchwork of compromise that it really doesn't address the problems as the studies point out. Fixing health care is not a one way deal, it is also going to take the citizens of the US to clean up their bad health habits as well in order to gain control of costs. We can no longer tolerate bad health habits from our citizens and expect our costs to stay static. A real solution will require a total rethinking of health care and how it is paid for and delivered. Medical care will become the Lexus that most will not bother to look at. Eventually, most citizens will go without medical care. 50,000 years ago, most people went without. It means that we were fools to vote those into office those that kept Nationalized Health Care away from us so that they could line their pockets with ill gotten gains. We are the only Western Nation NOT to have Nationalized Care. And since Health Care is a Right and not a Privilege we need to install lawmakers that put the American people's health and welfare before the corporations in this nation. There is no reason why we couldn't have adopted the Netherlands system of the two tier approach. Nationalized Health Care for ALL (Medicare Part E – everyone) and Private Health Care for those that want to pay an additional fee. That would have been a win win for the American public, but not for BIG Insurance and BIG Pharma. Regardless, the GOUGING has got to stop. According To President Obama The Reason We Passed Health Care In America Is So That Everyone Can Afford Good, Quality, Affordable Health Care And If You Can't One Plan You Can Shop Around For The One That Best Suits Your Needs! Now If This Plan Turns Out That It's So Massive And It Raises The Price Of Health Care On Everyone Who Has Coverage Already Then We As A Country Have A Problem And We Can All Blame President Obama! Let's Just Wait And Get It Started And See What Happens Before We Play Guessing Games Jack! It means that health care costs too much to afford so people will stop buying insurance, like gas and then the price will come down. As it is today, most people don't go to the doctor because they can't pay for it and don't have insurance. Just another sign that the US has left the free market system in favor of crony-capitalism: the corporations favored by government earns profits, while the losses are placed on the backs of the citizens. Way to go, America! You've forsaken the promise of your revolution for the false God of managed ecnomies! It means we need Universal Health Care in America. Other industrialized nations already know that. What are you talking about Jack. Since 1996 the average cost of "employer" heath care for the family was around $900 dollars each month(that's Teamster plan). Now, I'm told it reaches to about $1,300 a month, and that's w/co-pays..albeit it's about $20 dollars a visit. I really wish though that each member of congress had to pay out-of-pocket for their health care and, see of how they feel. What we really need is a single payer insurance plan, with every American citizen included in it. Can you imagine 300 million people busting through, say Bob's Insurance Co door, looking for coverage.......can you imagine the savings and all of the health insurance rip-off companies that will go out of business. I'll bet you, we all can get the "Cadillac" coverage for as cheap as auto insurance. This will indeed prove Darwin's theory of, "Survival of the fittest". What does it mean? Jack, I cant afford it, and dont have any so I DO know what that feels like. Its cheaper for me to just pay for the office visits and prescriptions myself. I cant wait for Obamacare to be implimented. To those of you who are against it, I say get your head examined. That should be the first order of business. It would mean that Barack Obama was re- elected, since the Health Care bill doesn't become law until 2013.
obviously, there's no such thing as Free. Jack: Should that be the case, one had better consider sleeping horizontally and under the dasies--rather than being lucky to be vertical, breathing and above them. That is a loaded question, all the people who want "Obamacare" repealed are going to say, See, I told you so. But that is not the case, the raising of the prices has nothing to do with Obama's plan, at least not yet. Thank you Republicans for killing the public option, which may have really helped that situation. It just seems that no one wants to do anything about controlling prices, especially prescription drugs (OMG, the dreaded regulation). Our illustrious congress (of both parties) just cannot get out of bed with these companies. Just recently Congress was trying to kill the bill that says health care companies that spend less than 80% of our premiums on us, they must pay us back some money. Our only hope is get these incumbents out and all new blood in, I don't have much faith in that happening though. Mr, Jack Cafferty – hate to say this: It is cheaper then to die than getting sick, at least it is a one time expense. It means it's time for the United States to join the civilized world from Denmark to Taiwan and realize health care is a human right, not a profit center. National health care works everywhere else in the world despite the rantings of the right. Why can't it work here? We have pretty good models with Medicare and the VA hospital system. I am on Medicare and Tricare and have no complaints at all about the way the government is running it. It means that only the wealthy will be able to afford good healthcare, and it means that at every election I will remember that it was the Republicans who would not allow the single-payer or the public options to be part of Obamacare, and would not allow the alternative of making Medicare available to everyone. I'll remember that it's the Republicans who left our health care (and the cost) in the hands of for-profit insurance companies. Jack, it means we aren't the ones who are sick. The sick are the ones in Congress, White House and Corporate America. By the way, for millions in America, going without health coverage is the same as taking all one's income and worse to have coverage. So, it is already happening to many Americans today and very few care or even take notice. It is time for the American CONSUMERS to unite and really put this greed ridden corporate nation on its knees. Sure, we will have to go without, even lose income, jobs and much of what we have worked for but it will not be for long if we all do it together. Do what together? Stop buying. Stop unnecessary driving. Go back to one car families. Stop using credit cards. One month of the entire consumer population doing without, while causing economic pain, will show solidarity and surely bring prices back in line. However, whatever action we take , it must be done together and at the same time. All I am trying to get across is the consumer has the power control corporate and government fleecing. It means that the current US medical system costs too much and does too little. The US is the number one spender on medical care in the world on a per-capita basis. But we're something like number 32 in the world as far as results go, the health and lifespan of the population. So we're not getting our money's worth. We need to switch over to a single-payer system like every other industrialized country in the world, and doctors need to be salaried employees instead of getting paid on a fee-for-service basis, which boosts their income for providing more services whether the patient medically needs them or not. "Critics say" that Obamacare "will only make matters worse." Unfortunately, they say that without any actual evidence. Well, the non-partisan Congressional Budget Office says that Obamacare will REDUCE the deficit. If Republicans get their way and repeal Obamacare, they'll be making the deficit WORSE, not better, and will cost the government more money. It means we have to get for-profit, which is driving up costs, out of our health care system. How can you drive down the cost of health care if someone wants to make a profit off of it? It also means the average worker needs to be paid more, not against cost of living, but against cost of health care. I don't expect either one of those to happen before our economy collapses. It means people will stop paying for healthcare. We have higher order needs like water, food, clothing, and shelter. You have to have a life worth caring about before you care about healthcare. Maybe the needed changes will take place when people stop paying for healthcare. It means folks need to send their kids to medical school. I can show you through statistics that the price of a loaf of bread will cost oyu a week's salary in 2030, but it doesn't mean it will. This is fear mongering at its worst. The reason health care costs are rising in the United States is because of the increased reliance on technology to enable the greater availability of higher quality care (though the fear and cost of malpractice claims is also pushing the cost of health care). This is economics at its most basic: the greater the demand, the higher the cost until supply increases to meet the demand. The more appropriate concern is whether the goverment will be getting the best bang for its buck by having to buy these services in a constrained market. Given government's inability to spend more wisely, the plans for ObamaCare should be a concenr for all of us. The doctors and the President are right. This is a step by step process to attain parity with other industrialized nations in terms of Quality and cost of health care. The great State of Vermont is moving to single payer (think VA for everybody). Once other states see how that slashes costs and improves care, we'll lose the crushing overhead that our competitors are not dealing with in the global economy. The doctors are right. we need to catch up with the rest of the modern world and get universal coverage for all like most every other western country has. Our private system costs us, per the WHO, over double per capita what other countries pay. Our quality of service, infant death ate and life expectancy aren't even rated in the top 10. We have one of the most expensive and pathetic health care systems on earth and unless we change we will go bankrupt. It is sad so many have been duped by, primarily, the GOP and the insurance companies, into thinking we can sustain this dead horse much longer. If we don't wake up to this sham it will be too late to correct it. It means that Rpeblicans, if they want to stay relevant, should stop campaigning on repealing Obamacare and get on board. The doctors called it a good first step and it would have been a lot better with a little bi-partisan support. But taht would have been contrary to McConnell's primary objective. As long as the GOP continues to put their questionable ideology ahead of the public good the dream of affordable health care will remain elusive. Only through a genuine bi-partisan movement to take the next steps will we avert the scenario you described. And the outlook for that is grim. The average American's belief that universal healthcare is a bad thing for Americans and the government should stay out of healthcare is poppycock and Americans let the Insurance companies WIN as usual at their own peril! Some senior citizens who are faced with chronic illnesses are already faced with using the vast majority of their income to pay for medical expenses. The real question is how do we make medical expenses significantly less than it cost today? How do we make it more affordable for the average citizen? By no means is the so called Obama-care statue perfect but it is at least an effort to attempt to address the problems with out of control medical expenses. It's unconscionable that the United States allows companies to make a profit from sick and dying citizens. The GOP and conservatives want to talk about class warfare, this is class warfare! Let the poor die quickly while the rich enjoy their viagra coverage. We are the only industrialized nation that does not have a single-payer system and time is running out. What it means, Jack, is that the health care industry is gouging everyone to continue their obscene profit margins. It also means that only the Romneys and Gingriches of this world will have the means to stay well. It wouldn't be the case if there was Universal Health Care such as the Canadians have. It seems our neighbors to the North are much, much smarter then we are. God bless them. Does this highlight enough the destructive influence of Government involvement in health care? The worst part is, the people that take the best care of their health will be punished the most because they share "group costs" Not to mention the limited scope of knowledge and treatment covered, supported by the FDA and AMA. Alternative medicine is suppressed by force by the Federal Government to support the financial interests of Government sanctioned treatment. Dont have to wait that long. Take a look at deductibles, copays etc. In order to afford the coverage have to start with a $2000 deductible each year, premium is $700, copay $40 per. You know the deductible goes up, the copay goes up and the premium of course goes up. The meds are outrageous and one day in a hospital? please. And this will be correct by.....doing what? It means that we are still ignoring the elephant in the room. The only solution is a single-payer, government operated basic affordable Health Care system that will give most people at least a shot at minimal treatment. Some of us might even make it without going bankrupt. Then the rich folks can still go for the really fancy-dancy life-saving goodies like they do now. Dear Jack, Why should Health Care be any different than everything else. Gas has gone up to the point that I just about can't drive any place. Food has gone up to the point I can't afford to starve any more. Our elected officials want a pay raise. Corporate execs want bigger bonuses and stock option packages. I got an increase in my social security check that got gobbled up before I saw the raise. I guess what all this means is this place no longer works and hasn't for quite sometime. Best of luck to all of us, we're going to need it. Apparently, it means that Denmark is just fine these days but something is rotten in America. It means that we let big Pharma, et. al. run wild, thanks to third party payers. Obamacare has already made things worse because the plan he sold to us during the campaign was not the same plan he sold to Congress. The big difference; no public option. That would have completely changed the game and put the healthcare industry in its place, as every other civilized country in the world does. It means what many people already know, the middle class standard of living is $100,000 a year, but the median household income is $49,000 a year. We have way too many millionaires & billionaires and way too few middle class. Many health care workers now earn a comfortable living with paychecks around the $100,000 range, but too many of their patients don't earn any where near this amount. Recent reports are showing that we have 46 millions Americans living below poverty and 97 million Americans classified as low income. Do the math!! This is already a reality for some people. My mother's entire paycheck, except for a miniscule amount, is gone each pay period to cover the cost of health care for herself and my father. Most of the money goes to pay for health insurance and the rest goes to the company's flexible health care spending account. The insurance premiums rise every year, and the paychecks don't, so you can see where this is going. That's why medical tourism is on the rise, and contrary to what many people believe, the care is just as good and in some places better as the care people receive in the USA. With the government's (unconstitutional) mandate that we give all our money to private for-profit insurers with no cost controls beginning in 2014, medical tourism may be the only way many people will be able to receive health care. It tells me that healthcare in the U.S. is fundamentally flawed, immoral, corrupt and not working for its citizens. Its goal is to maximize profits for shareholders and keep treating symptoms while not curing the disease. Greed fuels it and everyone knows it, but nobody has the ability to take the profit aspect of it out. People are so blind to the costs, especially if you get a serious illness like cancer or permanent disability. My total cost for care/treatment for cancer from 8/2010 to 12/2011 was over $200,000.00. Lucky for me I'm on Medicare and I also got help with my co-pays. All of the charities I checked only help people with insurance. I am now Cancer free but I would have been dead if I didn't have the Medicare. Now I have a future, hopefully see my son succeed in this mess of a country and world that has been created. Time for people to wake up and learn what is really happening! What does it mean if health care takes your entire paycheck? Simple, get a better paying job. But that won't happen thanks to our national health care. It means obamacare has failed. He is all talk and no action. Obama is great at getting elected, helping the banks and wall street, but gets an F for helping main street. If obama can waste 10 billion a month on afghanistan he can at least do something about high health care costs in the u.s. It means were a country of the corporations and for the corporations.EVERYBODY REVOLT! It looks like we are replacing the military industrial complex with the medical industrial complex. That should put an end to our expanding life span. Can't afford the former and will not be able to afford the latter. It looks like we have had it, one way or the other. In the old Soviet Union nobody got a pay check. Didn't need one. You stood in line for your free government bread. You stood in another line for free government toilet paper. You stood in a very long line for your free government health care. Money means nothing when everything's free. When there is no incentive to work hard and create wealth, everbody becomes equally poor, not rich, not middle class. What can I say to draw your attention to the contradiction of statistics that claim that people live longewr, are happier, more fit and I have no reason to believe those figures are false. The real costs for Healtcare are in the gadgets tools and ordinary Iv Fluids like a salt solution that costs 125 bucks last time I chacked which is already 2 years ago and Sanjeh Guptah kept track nof my whereabouts The real shocker when you look at IV fluids comes when you hear that the ingredients only can be as much as 50 cents. Do I smell an Investigation into the production costs of Health Care and the organized crime organization that claim to be medical Industry? It would please me immensely to have been fighting crime with cafferty. After all where would we be if we had no uestions about the policies that put Obama on the map with me in the first place. Jack, in general terms, I believe the aggregate sum of money that the health care system receives from those making contributions should be sufficient to fund the expenses needed for it to function. However, somewhere along the line the allocation of the resources is not being utilized in a responsible manner. In the U.S. and, here, in Canada the problem is the same - more money is needed. I think it is time to have chartered accountants examine the financial aspect of the health care sector to find out just what is the problem. I have a feeling that it might be traced back to a bloated bureaucracy incapable of wise spending. This is especially true whenever any organization or government receives taxpayers' money, they think the source is a bottomless pit. If health care takes up my entire pay cheque, I guess I'll starve or freeze to death when I'm homeless and solve the problem that way. It means insurance company employees will be playing golf every Monday, Tuesday and Friday rather than just Wednesdays. Oh wait! That was originally doctors playing golf on Wednesdays! It means we live in a rich mans world. Health care has been getting more difficult to afford for many years. Thankfully I a physician who is contracted to take what the insurance has agreed to pay. If I had to pay what the office actually bills, I suspect I wouldn't have had that preventative care physical this month. Time to realize that it will take more than competition to reigh in costs. My parents went bankrupt paying for medical expenses, lost their home and savings. Now they live with me. The scene you describe isn't just some distopian vision of the future. This has been going on since time began. It means you're a staunch member of America's working poor ... in which case, count your lucky stars that you have a job at all. I mean think about it, before you go off all half-cocked and complaining! Would you really prefer not having a job, and getting emergency medical attention for free? ... Oops. Well there you go again ..knocking Obama and anything he tries to do . ..Has it EVER entered any of your ignorant heads ..why is it almost every country in the western world has managed to provide universal health care with the EXCEPTION of the great USA..... does it cost money ?/ of course! ..will taxes have to go up ?..of course ! !..is that so difficult to comprehend ? it does seem so . It's no big deal. There are harder parties to crash – we've seen that. Seriously though, I don't see the problem – it is his private residence. It means a lot of people will just say "to hell with it" and not go to work. The Obama health care plan was meant at the time as a first step if we recall and that improvement would be made over time. Yet Republicans want to take us back to an even worse time in health care, so it is starting to appear that our nothing will get done because of the absolute ideologies politicians will get on it when it finally totally breaks, idiots before invention is the new Washington motto. It means that a large baby boomer population is using expensive procedures in an environment where healthcare providers are guaranteed that their customers will pay and health insurance providers are guaranteed a healthy cut of the profits. Add to that very liberal awards and a lack of loser pays rules for medical malpractice suits and the coming mandate, and the prices will skyrocket. We need to either go fully single payer with money staying at the state level or remove the guaranteed profit from the system. I would have states guarantee 0% loans for catastrophic health events up to a thousand times a person's HSA account balance three months prior to the event and do tort reform with loser pays rules. Jack it really does not mater how hard you try to take care of yourself some people are just going to get ill. Cancer and other diseases pick the host the host does not pick them. When the time comes for medical care you will get it in America even if you can not afford it. I would not worrying about what it might cost you because that just leads to more stress. Take one day at a time and enjoy the ride. It's the prime driver of our deficits. We pay twice as much for health care as the rest of the industrialized world...50% more than Switzerland...Switzerland!!! One reason: health insurance companies, that skim 30% off the top for CEO bonuses, profit, and that cute duck we see on TV. This is why the single-payer option would reduce costs. Black Markets for health care and pharmaceuticals. Folks going to EMTs for medical exams and advice. Lower quality of health care – if any at all. In Massachusetts some of this has started already under Romneycare. There aren't enough MDs to go around. Ultimately the medical panels are going to have to ration care; that;s just the way it is. Eating right, taking care of yourself, exercising etc is great but doesn't prevent what we can't control. In 2010 my wife, who does all of the right things health wise was diagnosed with a malignant brain tumor. Her first visit to an emergency room, which lasted six hours without any major screenings cost $156,000. Total cost of treatment was multiples of that. This year she was scratched by a stray dog, another trip to the emergency room and for precautionary measures they kept her in the hospital for less than 24 hrs....cost was over $10,000. Maybe the wealthy can survive some Republican watered down version of medicare or medicaid and cope with increased costs of insurance but millions of us can't. We won be able to afford preventative screenings or the treatment to keep us alive. We will simply die. Two words: public option. The one thing Obama never should have caved on and my biggest disappointment with his administration. It means that corporate America is too protected by government. We are being robbed daily. By insurance companies, Doctors, and hospitals. What service does the insurance provided nothing...but we pay out thousands, yes I said thousands for insurance and they fight you daily on whether they will pay the claim. CEOs of Hospitals are paid extraordinary salaries and bonus if they can keep cost down. They ask for unnecessary test in Doctor's offices and in hospitals. We have Canada and Mexico, YES I said Mexico that have Health care for their People and was shocked to learn Mexico has had health care for it's people since 1791. I can't believe how corrupt we have become in Corporate America. And how vain and arrogant our people have become, they don't even look around for themselves to see the handwriting on the wall. We the people have been "hood winked" by the Elite who are controlling us like puppets. Its time to say NO. NO to wars, NO to corporate America, and you will pay taxes corporate America . And Government you will make "America Beautiful" a modern shining place again, With honesty and fairness. Even our representatives will do a honest days work for a honest day's pay. You will not sit in your offices and do insider trading. "We the People" had better get a back bone or we will be paying our pay check to health care. Or we can just lay down and die...That's what it means to me, Jack. Looking forward to giving my Conservative Vote to President Obama in November 2012. If you want to see lower total cost per person, and often better results, look to the European models. There are programs that range from pure socialism in Britain and a range of Medicare+Supplemental private policies with varying amounts of coverage for each part. What you get are higher taxes in exchange for very inexpensive medical care for the patients, along with less infant mortality and longer lifespans. Usually better health in general too, and no bankruptcies because of medical bills. And businesses that compete with equal health care expenses. Why the right-wing considers this an evil to be avoided at all costs is beyond me. I watch CNN everyday and it seems to me that you only offer "Constructive" criticsm against the president. Have you thought about how the Republicans say corporations are people? Well, the president MUST do what he needs to do to raise the necessary funds to get re-elected. He needs to make sure he gets another term to fix the mess that a Not very smart Republican president and congress caused for this whole country and the 99%. In addition, I really think they need to replace you and replace you soon. You look and act like a VERY bitter human being. Lastly, I believe they need NEW blood in there (CNN), new ideas and NO bias against democrats as you ALWAYS display. The only way that health care costs will consume our entire paychecks is if we all work in healthcare and grow our own food and have free housing and education. There is a natural limit to the amount of health care the economy can take up before being crowded out by other goods, like food, iPads and our cable bills – which are rising faster than health care, by the way. Depending on cost growth trends takes too many over-priced drugs that are now generic into account. If we can stop giving big PhARMA the right to steal by allowing them to game the patent system in order to maintain their profits, the share of our paychecks going to healthcare will go down. What do you mean, "soon?" I'm one of the "underemployed" just hoping that my one (hopefully soon to be two) day a week part-time gig delivering mail will cover health benefits I've been paying myself for three years now. At 57 years old, I can't afford to let it lapse. We've gone through almost $30,000 of our savings just to pay the health insurance. It means that Lawyers have succeed in their greed to extort money from Insurance Companies, who in turn raise their rates. Obamacare will bankrupt us ALL. The OMB determined that the Affordable Health Care Act will save us all and it will be essential for each of us to have it. Some have suggested that it would cost more, but I trust the OMB. The Government is not "interfering" and will not dictate an individuals healthcare. My insurance company certainly does, however. It will question everything to delay payment. I find it amazing that there is a group of people who ant to interfere in women's most personal decisions about her body, also claim to be the ones who don't want Government interference. Obamacare is well named and history will remember that Obama cares. If the Report is irrefutable then doing nothing is suicidal. Obamacare if not the best solution, at least it;s a good start. It means the GOP is back in the White House again. The Affordable Care Act of 2010 (ACA) is the first step to providing universal coverage and controlling runaway healthcare costs. The Republicans want to repeal and gut the reform program law. 17% of our GDP is allocated to healthcare. If we don't reform the healthcare system now, that allocation will double to 34% in ten years. Americans will have to change their lifestyles and adopt more healthy behaviors to reduce high demand for healthcare services and drugs thus, reducing high healthcare costs. Eventually, we need to move beyond the ACA and establish a single-payer system of health insurance and reorient our healthcare system towards disease prevention. This will further reduce costs. Until the the entire medical profession becomes more accountable for wasteful costs (any visit to an emergency room will show cost saving opportunities); a reasonable cap on wages and profit; Insurance companies auditing the medical industry and private organizations auditing insurance companies, we may have a chance at keeping costs reasonable.....hmmm... on second thought....honey, we need to sell a few things – i have a Dr's appt. Why is it that the people that work for us have it better than us when it comes to health care? Healthcare is for the rich now. I am worried about my son who has lifelong prescriptons that alone without the Dr's visit to represcribe he will not be able to pay for. The future is here and now for the majority of us. This is a great for a Darwinian solution to America's Obesity problem. But all comedy aside, it's a tragic statement on the value of our money and health, and shows what happens when we let insurance/pharma lobbyists write our laws to rip us off for decades. Why doesn't CNN say anything about the CBO report showing that Obamacare will cost 2 times as much as the democrats stated whn they pushed Obamacare thru. The cost is now prokjected to be not 980 bilion but 1.76 trillion over 10 years. It is hard to debate anything anymore without immediate attacks without premise in facts coming from all sides involved. We do all know that healthcare is expensive and goes up in cost at an alarming rate. That is not debatable. What is debatable is how to control it. Some say limit liability and therefore lawyer fees and jury trials. Others say no way, need it to make sure the consumer is protected. Then there is cost to employers, those not employed needing healthcare, those chosing not to pay at all and use the emergency room on taxpayer dime, and I will not even discuss how volitile the illegal/undocumented people impact the healthcare system. Need to get a team of non-partisan folks in a room to talk about solutions. Problem still ends up with TV soundbites from all sides screaming unfair, which sadly is becoming the American way, and I personally believe is going to lead to our downfall if we don't all knock it off and start doing the right thing instead of only wanting whatever benefits yourself. The projections about future health care costs are frightening. And this is based on our current situation with most Americans obtaining their health insurance through their employer or through private sources. At least with government insurance coverage as envisioned by President Obama's plan, costs will be contained. The consumer has no protection as things stand at present. I believe we all need to look closely at the president's plan, question what we do not understand, and then make up our minds. We have entirely too many Americans reacting negatively to what they call 'Obamacare' without knowing the facts. US healthcare costs = $7900 per capita, Japan healthcare costs = $$2700 per capita, and they have better overall health outcomes. Single payer is our only hope, and I don't see that happening until the system does consume all we make. Merely sustaining yourself with food, water, and shelter used to be a full time job for everyone before the agricultural revolution. It appears we will come full circle. It means that those damned liberals with their single payer cost controlled healthcare were right again. Have you noticed that the more the republican-lite democrats like Clinton and Obama take us closer to right wing policies, the worse the country gets? Health care costs will continue to rise until you get the Lawyers and other profiteers out of the added costs. What we need, frankly, is a single-payer system coupled with a nationwide accountable care model. I realize this isn't something we could achieve overnight, but frankly if implemented right (keep overhead and bureaucracy to a minimum) this could significantly reduce costs while improving care. 10 years ago I had $10 co pays. Now I have a $5,000 per person deductible and my insurance doesn't even pay for prescriptions (the entire HSA concept was a scam perpetrated by the Bush administration and the health insurance industry). Even though my insurer doesn't pay anything, premiums go up 25% per year. Give me socialized medicine and higher taxes. I'd save money. And I'd love to see a politician with the brains and guts to get rid of the ERISA preemption on health care insurance. I love it "it is a great first step, but it is not enough to get us where we need to go". Of course, people will come out and say the report is biased and from liberal doctors. But, it is the same people that criticized the bill and made the president neuter it to make it "not enough"
Wake up people and start to listening to people that are experts in these matters instead of ignoring them because they are saying something you don't want to hear. What do they know anyway? They're only doctors. Of course it's not enough. Single payer is the only answer – and not, it won;t bankrupt us, any more than national defense has and that's almost half of our national budget! So much for the Democrats "bending the curve" on costs. Most Americans believe that gov't health care will be free. They have no concept of how all of this will impact their pocket books. But maybe because almost 50% of our working citizens pay no taxes, it should be expected. Oh wait, that's right, Obama will take care of these costs by taxing the obnoxiously rich 1%. Most people do not want to die, even when they are old and terminally ill. Therefore, people will spend whatever they can to avoid that which is a part of life as assuredly as is being born. The medical community's greed knows no bounds. I am 73, my bucket list is pretty much completed and all I want from my doctor is sufficient pain medication to keep me comfortable. No life-prolonging drugs or procedures, thank you very much. Only if continued on the same path. Hence the need for reform. Suppose the way out from your home involves walking in some initially shallow water. One notices that the water is getting slowly but implacably deeper every day. Does one simply accept this and eventually drown ? . I do not think so : Most people would take steps to cope with the depth of the water or SLOW or STOP its accumulation ! ! ! No - the answer lies in finding out how to make the water less deep. Medical costs are almost entirely driven by physicians and their pen strokes. Fifteen percent of the "One Percent" are physicians. If you think you know how outrageous specialty physician incomes are, you probably don't. Unless you are their accountant. Something is wrong when a new radiologist out of training says he wants to retire before age 48... and complains loudly about his student debt load! Two years into practice and his student debt was erased. Medicare needs to drastically cut physician fees, and re-figure the formula for paying specialist fees in particular - incentivize physicians to go into primary care specialties. AAMC (American Association of Medical Colleges) is behind it in a big way - they control the supply of physicians, which is way too low. They have a monopoly. It's not rocket science. Forget about making health insurance "available" to everyone. How about making it "affordable" to everyone first. Going up...no way. I'm cancelling my insurance once ObamaCare takes affect. I'll pay the penalty every year – then when I need real coverage I'll call the insurance co and get coverage. Can't deny me b/c of pre-existing coverage! Thanks Mr President. It means we need single-payer medical coverage, as they have in Europe. Yes, the conservatives will scream "socialism" but why are we still listening to them at all? Soon consume your whole paycheck?? I have a two person policy for myself and daughter. The monthly premium is $873. My weekly gross is $867. You do the math, Jack – the future's here and its not pretty!!! I began work at the age of 15 and am now 60. I paid medical insurance premiums all my life and made my first medical claim at the age of 55. I am now working for the health insurance only not the salary. I can retire because I always lived cheaply and saved my money and paid off all my debts. But if I retire then I will not have any health insurance. I work at a very stressful job (inner city school as a special education teacher). My doctor tells me that if I don't retire the stress will kill me (I have high blood pressure which is controlled by medication and I can control the diet, exercise and am in compliance with taking my medication) but have no to little control over the stress. If I quit my job no health insurance. If I keep the job maybe death. Millions of Americans are in the same boat as I am. I have always voted and the people I voted for wanted to pass European excuse me Industrial World single payer system type health care (I vote against the Republicans mostly that want to maintain the status quo). Yes I am mad as Hell. I feel like sending Mr. Liberman my bills (even with insurance bills are becoming out of sight). This problem can be fixed but the people at the top will have to share. If we can spend trillions looking for weapons of mass destruction that don't exist we can afford health care. Hey, I get to post first! Which means, I get to set the tone! Obamacare isn't going to be some amazing free-for-all. History of the universal healthcare provided in the UK shows that actual cost nearly trippled what was projected when the program began in the 1940's and 1950's. Good luck, everyone. We offshore just about everything and across a variety of industries; banking, airline reseervations, construction materials, watch fobs, condoms, you name it. Why not let us take our Medicare 'offshore' as well, where ,in many countries, the skills are high and the costs low. We are permitted to retire offshore with our Social security, why not with Medicare as well? Of course the lobbyists for the pharmaceutical, insurance, medical, dental and retirement industries would all have cardiac arrests. It used to be more affordable when the customers were the patients, not the health insurance companies. Costs rise because providers can charge more to a company than say, a working family. If we de-couple health insurance from employment and return it to a service (like the veterinary system still is) then costs will come down. Also, an entire medical industry that has to work with the insurance companies will be eliminated, further reducing costs. or... you could just eat right and exercise, spend 0 dollars on healthcare in your life, and live to a decently old age. When the whole paycheck or most of it goes to healthcare, time for natural remidies and take our chances. Why are we do afraid to die? It means TOO BAD – there's your free market capitalism!!! Enjoy! I believe legal liability is what has gotten the healthcare industry in such a bind, people rather settle than actually go through with lawsuits. Let's be honest, people tend to be irrational when something bad happens and doctors have to make decisions that even they do not have all information on, so people will sue and settle. If more people had to go through with lawsuits healthcare, and life in general, would be less expensive. Just my two cents. The PPACA is something I think everyone needs to worry about. Creating another system in which imposes taxes, fees, fines, surcharges, duties, tarrifs, or whatever you would like to call them, in order to pay for a national health care option is a bad idea. Americans can afford healthcare, unfortunately, malpractice suits, the cost of developing new technology and pharmaceuticals drives the cost of things higher. Then look at the operational costs of medical facilities. Someone has to pay for the nurse, medical assistant, physician, x-ray tech, pharmacist, pharmacy tech, respiratory therapist, receptionist, and every other support person in the hospital. Ultimately we, as Americans, are our only salvation to this - stop demanding higher and higher wages to do the same job. Cut some red tape and regulations to make R&D cheaper. Reduce some overhead. Everyone knows someone in the health care field which is overpaid and underworked, or overpaid and unproductive. Free healthcare for all. It is my right to healthcare, as a right it is the governments job to protect such right. If doctors decide they can't afford to treat me for what the government is paying them, the government has to step in and force the doctor to treat me. It is my right to their service. I know what all you tea baggers will say to this, that it is a form of slavery, but there is a big difference between what I want and the plantation owners wanted. The plantation owners felt they had a right to my people's service for free, i don't want such a thing. I am willing to have the government pay these people for their service. If they refuse, force them too. The government will decide what is fair for the doctors to make. This would be a good time for the Republicans to come to the table, act like grown ups and work to fix this issue. Stop with all the lawsuits against Obamacare and find ways to make it better. Obviously repealing Obamacare won't solve this issue, so lets deal with reality. It means a boom in business for bankruptcy attorneys? Health care already threatens a big chunk of paychecks for many families and health insurance costs present an enormous challenge. For my family it's nearly impossible. We don't have nice cars or a large mortgage and live on a budget. Yet, all the quotes I get for health insurance are all in the same price range. A price range we just simply cannot do unless we put the kids on an "all ramen noodles all the time" diet, and even then it's sketchy. It's enough to give you an ulcer..if you can afford one. Obamacare will end up costing ALL of US our health care, so instead of having the poor covered, NO ONE will be covered because the premiums will be out of reach to all except the Trumps and Rockefellers. Is this surprising? Big pharma pumps untold billions into R&D so they can sell you $100 pills to cure ailments that don't exist, with side effects that will require other medications to balance out. What it means is: we should just stick with the basics. Aspirin, ibuprofen and pot can fill the vast majority of medicinal requirements, and don't have the slew of side effects that big pharma pumps out. Plus, they're cheap. I'm 61 and health insurance for me would be as much as my rent! Needless to say, I don't have any. As far as Obamacare goes, I guess they will just have to put me in jail for not having health insurance. At least healthcare in jail is free. The CBO says that Obamacare will actually cost 2.6 Trillion, not the 950 billion we were sold. So, either way, whether it's the government taking it out of our pockets or we're paying it ourselves, it will be impossible to pay for. I'm 65 and my solution is to only go to the Dr's when absolutely necessary. A few years back I had pain in my right foot and with medical attention and several injections it took about 6 months to heal. Last year I had the same pain in my left foot and let it heal on it's own and to my surprise it took 6 months for the pain to go away! I believe people go to the Drs much too often for trivial ailments. Your body will heal itself and that's what all Drs. depend on. You'll know when you really need some expert attention. health care and health insurance costs in the U.S. are out of control, and have been for a long time. My health insurance has increased at about 15-20% per year for many years in a row. I now have a $6K deductible so that I can afford any medical insurance at all. This is simply crazy... and the medical care quality we get in the U.S., in spite of our much higher expenditures, is mediocre compared to other western countries. The medical/insurance industry lobbying power is just too strong, it's seems almost impossible to fix it. They know that people will pay whatever they have to pay for medical needs... what else can you do? of course, with the health care plan that Congress has, it does not really affect them does it? If you are poor, or old, or are a congressman, you are the only ones able to get health care at a reasonable cost. We need to treat health insurance like car insurance. That means first, removing the requirement that it be obtained through your employer and have everyone shop for what's suitable as with auto, life, and homeowners insurance. I would love to have some gecko tell me how I can save money! Employers can choose to provide a reimbursement benefit, but they won't be required to shell out huge sums of money to insurance companies as a cost of doing business. Second, we need to be more responsible for our own health care costs. When I need new tires, brakes, or an oil change, I don't file a claim with Allstate. Health insurance should be the same way. If we all start paying cash, providers such as labs and clinics will advertise their rates on billboards and other media. Then prices will start to come down due to awareness and competition. Third, we need to rein in the pharmaceutical companies with their designer drugs and their designer pricetags. There are too many "ailments" being created in order to maintain a market for very expensive and risky products. Health care costs are sucking the life out of our economy. Individuals and small businesses are breaking under the weight of maintaining insurance. Everyone is clueless to the costs – doctors don't know the cost of the prescriptions they write for, patients don't know the costs above their co-pays, no two insurance companies reimburse at the same rate, etc. We all know what a Big Mac or a gallon of gas costs – why not the (entire) cost of a doctor visit? Jack, Yes health care is getting expensive for the average middle class family. I know that health care is on the rise. Currently I am for what you call Obama Care. It may not go far enough, but it is a step. There seems one political party that has decided its plan to reduce health care costs is to offer to say "no" to Obama Care. It would be nice if at least one media outlet (hint CNN) or political party state how they would reform health care, not just coin the Nancy Reagan phrase "Just Say No." As a Democrat, I am still open to ways that we can cut health care costs by any political party. What will the regular person do? Die off like the 1% want... and then they will wonder what happened to all the people who once catered to their needs... 'Oh waiter... now where did they all go?" I am healthly person and my insurance premiums went up by 20% in the last 2 years. Reason given: Obama care. Socialized healthcare doesn't make healthcare free. It just makes it pre-paid with taxes. That basically applies to anything the government gives you and labels as being free. Let's figure out why healthcare itself is so expensive (NOT health insurance), and then tackle that. This is why more and more people stop working so they can get on disability and government services. I may do that soon too. I will place all my assets in my kids name and become "indigent" to meet the requirements. It means that phase 2 of yesterdays question of making $2.00 a day for almost every one has come to fruition & thats what one has to pay for Government medical. Can ya say thats a New Hope & Change to Believe in Dream Act for a OWO come true, Jack? I have a solution Jack, fake Canadian ID cards that way if you get sick you can go up to Canada and get yourself checked out! I'm really amazed at the number of people who do not remember a time when almost no one had health care. If you got a catastrophic illness you were ruined financially and if you survived you just had to start over from financial square one. You could get caring people to help you get back on your feet and they usually did. It was looked at like a tragedy similar to having your house burn down. If house insurance ever goes higher then the house payment most would opt out if possible. If health care goes as high as those folks say then it will go back to those days where you just prayed you didn't get sick and MOST PEOPLE will not get sick. I like health care but I have lived without it before. It is not impossible. Especially now, with wages for some just barely covering household cost and food on a good month, even if those that are insured, would struggle and DO, to pay health care cost. Look at the co pay's for a doctor's visit, if a specialist double that. If he prescribes radiology tests or labs, there can be hundreds, if not, thousand's in co pay cost to get the health info needed to save your life. Meds, if not in a hospital setting, if htye are covered by your health care plan, a big IF, they can have co pays more than some could ever afford, especially if more than one, adding up to hundreds of dollars a month. And when your sick, there's often more than one. If you haven't seen the problem we face regarding health care you been blessed. And very naive. Are we ignoring supply and demand? And are we talking the actual care a person receives or the insurance? Health care itself is already expensive, but we buy insurance against those costs. The real issue is can health insurance companies still earn profits with rising health care costs? If not, they will go out of business (welll before it takes a 100% paycheck to purchase it) and the business of health providers will be in trouble because there will no longer be a market for their expensive services. It means that the politicians need to come together and offer solutions to the healthcare problem. President Obama has offered legislation to address the problem but is not getting any help from the republicans. They only want to repeal Obamacare and let the free market decide who gets healthcare and who is left to die. If the republicans get thier way, the class of the so called "job creators" will live a long and healthly life, while the rest of us will live only one major decease or accident away from bankruptcy or death. Just bring back "cash and carry" medical care at reasonable rates so we can eliminate the insurance middlemen. The high deductible plans are a form of that, but the premiums are obscene for the coverage they offer. You need to stop smoking, drinking and eating. Things have to work out if you have no vices and are deceased. To make a single payer system work, to make it fair everyone including the poor should all pay an equal percentage of their pay. The rich alone cannot pay for healthcare, social security, medicare, the debt, social welfare programs, alternative energy and all the other programs the democrats want. Also all of you who went into the medical field had better save your money since you will be having your salery cut to cut cost. It means, they want to get rid a few millions off the nation in a clever way. Jack. I lived in several countries in my life, one of them a third world country with subsidized health care for all, and the EU with excellent medical attention access, all of those systems relied on the goverment to subsist and people are doing good. Here, some will forgo going to the emergency room because they cannot afford it. The answer is plain and simple: Americans want it all but are way too selfish to implemet a single payer system. If there is money to bail out Wall Street and fight multizillion wars, there should be monies to pay for health care for all first. Except Obamacare isn't a first great step, it's a step backwards. It means I will be moving to Canada. Illness is already unaffordable - get out from under your rock Jack! It might then be cheaper to rent a room at a Hospital. Building Management is supposed to take care of its residents, right? Jack that just simply means the stock holders are getting paid higher dividend checks then ever before eliminate the stock holders in healh care, sure let the invest in the stock market but do not let them go public, then you would have enough to pay the doctors. These days the stock holders are getting paid more then the doctors. It means i'm moving to Canada! It will mean the insurance companies have finally achieved final victory !!!!!! Of course they will still spend a big chunk on lawyers to fight claims but by then their profit margin will be so huge that no living soul will be able fight them . Long life for the wealthy , early death for everyone else and NO contraception ...... got to keep some sub humans around to make the beds and clean the toilets . The future will eat us alive . It means that the government doesn' care about the people. The government only cares about receiving money from the people. National healthcare shouldn't cost the people anything. It should be FREE. You don't think it happens now? That to stay alive and get the health care you need it does cost some their paycheck plus their savings, everything they have. .
Time to get another job, too bad I can't get one. It means the same thing it did before medicine became an industry...people will die. Artificially extending life costs a lot of noney...few can afford it anymore. It means that the so called "great America" is no longer in existence. Jack, I had surgery a few months ago. Guess what? I couldn't afford insurance at that time, and now I am $11,000 in debt due to the lack of insurance. The hospital charged $900 for staying in a hospital room for 4 1/2 hours! The nerve of some hospitals! As long as health care corporations are able to rip off the American people, they will do so, and continue to do so until someone stops them. From Rockford, Il 20 years? Try now. Jack it means that it is way beyond time to get doctors, dentists, etc salarieis back down to earth with the 99% of us. No more big houses, vacation properties, and expensive sports cars for them. They can drive 10 year old American beaters like the rest of us. Health care in other countries isn't expensive because their doctors salaries are on par with the rest of the population. Their healthcare facilities are plain and to the point, unlike some of the palace hospitals here in the U.S. It's the healtlh insurance costs more than health costs, although I suppose the two are related. For myself, my wife, and my daughter, I now pay 15K/yr for a so-so private HMO. No dental. No vision. $40 co-pay for primary care is OK. 50% on prescriptions, so-so. Get referred to a specialist – make sure you got vaseline handy! Last year I had a bladder infection, so my primary care doctor said to get checked out at a urologist. So, let;s see.. I pee'd in a jar, had a digital exam, then an ultrasound wand on my abdomin to check bladder contents, plus maybe 10-15 minutes talking to the doc. My share of the bill? $282! For what? That's after what my insurance paid! After decreasing the billed charges to the "allowable" amount! And remember I pay 15K for that kind of coverage! I'd like to save for retirement! I haven't gone away on vacation in years. if you force the doctors to work for a pittance (which is what the governement pays) while the costs to get the degree and insurance to protect them from the abusrd volume of potential lawsuits out there; then eventually there will be no doctors. Who wants to work for nothing after spending 10+ years on higher education? There are lots of other jobs out there. It means that every person will need [at least] two jobs to support themselves...working upwards of 70 hours a week to maintain health insurance costs. Guess what that does...it compromises one's health, defeating the whole purpose of hoping to make ends meet. What this extrapolation means is that present trends cannot continue. If nothing else, millions of people will simply go without care. If Obamacare works, Medicare will be saved, but what about the rest of the people? Eighty percent of individual lifetime costs are accrued in the last six months. Perhaps a shift from ICU dying to hospice dying will save eighty percent of that. The potential to sustain metabolic life now exceeds the potential to restore health. Obamacare deals with cost of insurance, but patients and families must choose not to do everything possible once it is futile. Only then will health care costs go down. Affordable health care??? As long as they don't trample on our constitutional right to buy any gun we want to end it all when the cost gets too high....there are priorities in this county afterall. Where are all these jobs that provide insurance? It means that when you open your check and see it says zero and drop from a heart attack you'll have the affordable care you finally deserved. It means we need to soon think about fending for ourselves. If the government cannot control health care costs or is unwilling to provide socialized healthcare,then why should I,as a now-healthy man continue to pay for health insurance. I can put that money in a savings account to pay for my preventative healthcare and wait for the inevitable social healthcare. Besides, if any undocumented US resident can walk into a hospital and get free healthcare, then why not me. That is what will happen. Millions will see the folly in paying for healthcare and simply stop. They sold us the HMO BS by saying it would lower our health care costs because it would be more efficient, nuff said! Jack, it means we are looking at the wrong thief. It is not the banks & mortgage companies that will destroy us, but the health care industry. Not one politician is doing anything about the cost of health care. They are debating insurance, and how much I pay, but they are all protecting the profits 1% at the top of the health care industry. No matter what they claim they are doing, the actual cost of health care is going up much faster than the economy could hope to even keep up. If you are not rich, you are doomed. Part of this costs is the high costs of prescriptions. If we can get people into purchasing pools so that drug costs can be lowered this would help as well. But the challenge is to get those who can help get this to the people who need it to want to take some time to help them get into these groups. America's biggest challenge is trying to manage these large markets, where a lot of benefits are not designed to low costs and consumers are not able to get the best benefits due to marketing cost controls and diversity in business offerings. Well Jack, seems like you must be as rich as Mitt Romney. For a lot of the people in this country the cost of health insurance went over the top a long time ago which is how Obama care got started in the first place. It was to find a way to cover the uninsured without the unofficial passing on of the costs by the health providers that are mandated to not turn anyone seeking medical aid away. Don't stop at Medical Care costs. How many people are choosing between GAS or FOOD? In my state of Maryland they have every kind of user fee, revenue enhancers, and taxes known to man. I jest when they get to 100% of my income and still can't balance their budget what happens then. Governor O'Malley (remember that name he seeks higher office) is in Annapolis now raising almost a dozen taxes. I guess the answer is to give us all the same power as Ben Bernanke has and let us print our own money!!!!! It is going to get much worse. Who is going to pay for health care for all the children that are born when they ban birth control? To me it means I will no longer need to worry about Social Security. I will not live long enough to collect it. It's pretty simple, really. In 2005-06, I was successfully treated for Non-Hodgkins lymphoma. If I had still lived in the U.S. at that time, on my secretary's income, I doubt very much if I could have afforded chemotherapy. Which means that if I still lived there, today I'd be dead. Instead, I was here, in Australia, where the Government paid for my tests and treatments. Not to have the stress of wondering how to pay the next medical bill that came in contributed, I am certain, to my recovery. Americans, it's time to wake up and recognise that equal access to medical care for ALL, regardless of their wealth, is a fundamental human right. I'm not suggesting it will be easy for you to get there; but I do believe that you can. If someone gets very sick then it automatically means bankruptcy or losing one's home and etc It's a shame here in America. I do not undertand why republicans are so stubborn as to not want great health care at an affordable cost for everyone - not just the rich. What would be even better would be to have free health insurance like in any countries, like Canada. You've got to be kidding. I guess everyone will just have to do the basic cheap things that we did 40 years ago when humans had a longer life-span and were healthier. Just because we can treat a disease for 50k worth of medicines and scans, doesn't mean we should. What did people do 40 years ago when there was no $50,000 solution to every medical problem. Well, it means that the insurance companies and pharmaceutical companies are a bunch of thieves and racketeers and have manipulated the system through lobbying to serve their own good and not provide affordable health care. Someone is getting rich. If you want to find the perpetrators in this crime against Americans, just follow the money Jack. It is hard for our congress to understand what it means to have their savings depleted because of an illness. I have an autoimmune disease and my husband has cancer. Our medical bills are more than our paychecks. We also have three kids to care for. It's difficult to decide between prescriptions and food sometimes. Congress is out of touch and will never get it! Let's see...$200.00 for a quart baggie of sterile sugar or salt water, another $200.00 for the needle and hose, the nurse gets a couple dollars to start the IV and document it...$150.00 to crumple some paper on the ER gurney...ah but those costs are justified!! It means that President Obama and the Democrats were right and the only problem is that they tried to make nice with the GOP and they did not go far enough........they won't make that mistake next time. Why is it that Congress gets the CADILLAC Health Plans, but the people who PAY for their healthcare get the Jalopy? Also, if our leaders think that the American people should be subjected to (Constitutionally illegal) searches as in the drug tests, then THEY TOO should be subjected to DRUG testing, not only to receive medical benefits, but to BE OUR LEADERS who send our TROOPS in HARMS WAY!! It means that people are paying too much for health care because there is little competition. When the medical industry can bill an insurance company a ridiculous amount and get it they will continue to do so indefinitely. Government healthcare will not solve this problem, but make it worse. Historically any government program costs more than it would in the private sector. The two most likely solutions to the health care issue are; eliminating the interstate health insurance restrictions and people actually taking responsibility for themselves and living a healthier lifestyle. I have very little faith either of these will occur until our country is in financial crisis from the inevitable failure of this already unsustainable and yet unimplemented program. So called socialized medicine cost 5%, in the USA – only 20% and rising thanks to combined efforts of Insurance Companies and their supporters in both parties. That's only a reality of the Capitalism. As.a Canadian that recently had an overnight stay in a hospital in Florida I am not surprised! The total bill was 14000.00 for the overnight stay. I had xrays, an ultrasound & I saw a doctor on call & a specialist. Luckily nothing was too serious but there is something so corrupt with your system. I am64 years of age. My husband & I have had two children&have had the usual hospital visits & have never had a bill . If we are socialists so be it. I will take this system of ours anyday!! Makes you wonder how Obamcare will work, if we can not seem to get control of it now. One of the mysteries is how pharm companies can spend killizions on TV commercials, how often do we need to be reminded?? If I want quality care, I am seeing a Dr. not by watching commercials in my decision making. How bout cutting your marketing budgets by cutting your prices or by sponoring free clinics using the money you spend on TV. Bottom line, we need more scrutiny and a healthcare system based upon competitive prices & services. Right now, it is all one-sided. Our healthcare system is already unaffordable by the nation as a whole and when it crashes – which it will so long as its costs are so horribly overinflated, it is liable to start a depression that makes the one in the 1930s look like Sunday in the park. In the meantime Big Pharm, Big Med, and the insurance companies lie to us about everything from the price of research to the state of healthcare in other nations like Canada in an effort to make sure we don't do anything to upset the cart full of golden apples – they are taking full advantage of our willingness to pay through the nose to save our and our loved-ones's lives, but in doing so they have put a price tag on each and every one of our lives and bled the nose dry. We had the money for health care and education and repairing our infrastructure but it was squandered in Iraq and Afghanistan and still is, to the tune of a trillion dollars. Now we have all these vets coming home, injured, with PTSD and the money continues to be drained. Bags of money, millions of dollars were just carried off in the beginning of the Iraq war and no one knows where it went. Jack, it's simple math – the poor, unemployed, under-employed simply cannot afford to stay fit and eat healthy – those tings cost money – so, to use one of Wolf's favorite words, and i love when he says it – "huge", huge, huge reduction in our Nations's Deficit, finally a balanced budget, and we get our Triple A rating back – sure it may take 20 yers, but I suspect it will be sooner – all the people mentioned above will die becuase they will not be able to get medical attention, medicines, etc., because Obamacare will fail these people, and dead people won't need Medicaid, Welfare, Foodstamps, or healthcare financial assistance. My family's hc insurance has increased 30% since the new Healthcare was passed. Whether if is the fault of the law is debatable. To get by we reduced our coverage from low copay full coverage to basic high deductible. It is cheaper to pay out of pocket for general office visits than to pay for premium insurance. Several general practice doctors in our area have started health care clubs where you pay a low up-front monthly fee to get deep discounts on office visits. These came about to help the immigrant farmer population and those who cannot afford or are in jobs with no coverage. To me this seems to be a good idea. The Military is there to protect our country's interests and the Country's Health should be at the top of the list. For what other product or service does the average American hire someone else to negotiate the price? It seems any medical technology company is never made to make its products affordable, due to the fact that people are never given a price list they can use to compare different facilities or procedures. In fact, the only thing people are allowed to compare are abstract and complex insurance policies. No wonder prices aren't bound by the market. It seems that most of the comments here are not concerned with really addressing the high cost of medical care but rather looking for a government takeover aka socialized medicine that would shield them from the costs and somehow magically make it all better. It's one more example of the faulty logic that a government entitlement program somehow reduces the cost of a service. In truth, inefficient bureauracy and fraudulent claims increase costs and fee limits reduce supply even as demand is increasing. Eventually the cost of healthcare will cause employers to stop providing health insurance for their employees. This will be necessary in order for businesses to simply remain competitive. When that finally happens - perhaps decades from now - there will be a huge clamoring for government run healthcare. Those who once believed that they had single handedly provided healthcare for themselves will finally come to realize that their healthcare was provided at the whim of their employer. Jack, sorry about the typos in my comment – you got me so riled up over this question, I wanted to get it out to you and your viewers speedy fast. If it will cost more than we make all I see is people dying or living with poor health. Already the pharmacies in Canada and Mexico are providing meds for those who cannot afford the outrageous costs here. Just how do we stop the escalation? Wait a minute Jack. I thought obamacare was going to bring healthcare costs and premium costs down? Did obama and the democrats just lie? The fact is Jack, that obamacare was never meant to lower the cost of anything. It was just a big power grab by the democrats and obama to take more and more control of people's lives. I sure hope the next Republican president repeals obamacare and offers a real solution. The CBO just projected much higher costs for Obamacare, so that's not the solution. I don't believe in insurance mandates. Faith and obedience to the commandments of the gospel are all the health insurance one will ever need. Its not a good idea to interfere with the Lords plan for each and everyone of us. I have a friend who has pretty good health care and has an ongoing illness. He had to file for help from the courts for help with his creditors. He is slowly paying everything back. Having health insurance does not mean everything is paid for even now. Co pays on specialist and medicine add up quickly. If it happened to me I would be filing for court help as well. I think cost should fall as doctors use more and more helpers to do their job like physicians assistants as well as other practitioners that do not get paid as much as the doctor but I think that doctors are still charging the same as if they are present for the exam. Is that legal? I know he has to supervise them. The cost question comes down to this: The treatments we get are better and there are new treatments for ailments. Years ago it was not possible to cure some forms of cancer. Today many forms of cancer can be cured for $100k of treatment. So guess what, the cost of health care increases. Additionally, the patient now continues to live, which means that person will have future health ailments, requiring more treatment. Also consider how many people had knee replacement surgery 20 years ago compared to today. Just because a treatment exists doesn't mean you have the right to that treatment at someone elses expense. If Healthcare = my entire paycheck, then I suppose I will either not work, not pay for healthcare or move to a country where I can make more than what I have to pay for healthcare. If the entire country chose not to work because their entire paycheck would go to pay for healthcare, wouldn't that be a bad thing? Good grief Jack, do we hear any valid alternatives to Obamacare? All I'm hearing are objections and no suggestions. Granted, Obamacare is not a complete solution but I believe it's essential th keep health care costs from wiping out a family's entire income. I suppose the critics' alternative is really cheap funerals! Ah, the pain, the pain. Years ago, usury or the paying of interest on borrowed money was illegal. They cut out Shylock's heart for it. Perhaps we need to do that to some insurance CEO's. "40 years ago when humans had a longer life-span and were healthier." If you're talking about humans in the US, this is not even close to factually accurate. It means that GREED has long since taken over health care, and the CEOs of insurance companies and HMOs and big pharma and hospitals are going to squeeze every last penny out of us and then some. It means that the only people who can afford to see a doctor are the super rich. It means that this country is failing its citizens if getting health insurance through an employer means you don't have anything left in your paycheck after they've docked your contribution to health insurance, taxes, and other deductions. It means that the US is a third-world country. 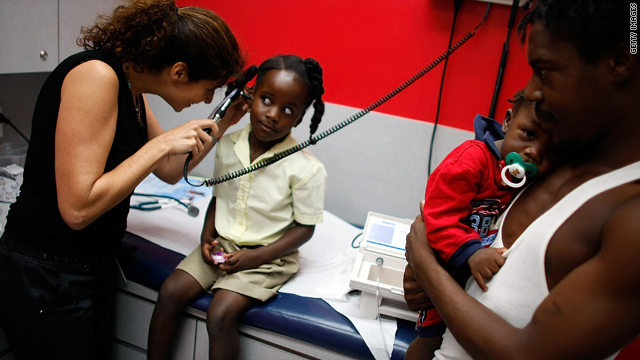 For millions of people, health care costs already exceeds their income. I told my wife that if I have a heart attack not to call an ambulance; either let me die at home or recover. It is as simple as that. If I get cancer, all I want are pain pills. I will be damned if I am going to let the medical industrial complex destroy my family's security. Now I simply have to hope that my children remain well.....I don't think I can let them pay for my contempt of the medical community. Sorry - I forgot to tell you in my previous submission that I live in Edson, Alberta, Canada. Without good insurance health care is unaffordable. Without drug coverage health care is unaffordable...some new drugs can alone cost $2000 a shot such as those for osteoporosis. The Affordable Health Care Act is a necessity and long overdue. It is the only way to address the ever increasing costs for everyone. Currently all we have is a means for bankrupting people or only providing care for the very wealthy. My monthly insurance costs me half of my paycheck now. I can't change plans because of a pre-existing condition my doctor says is due more to the changing criteria for high blood pressure than to my actual health. I go to the doctor once a year for a check up. So I am stuck paying huge monthly fees or taking the chance of going completely bankrupt if I have an accident or unforeseen medical needs. This shouldn't be called healthcare because no one cares about my health, they care about the profits they can turn. Reminds me of the banks and the foreclosure crises. We're self employed and over 50 – anathema to for-profit insurers, so even though we're healthy we're paying $1857 per month for a plan with a $5000 deductible per year for each of us. As our premiums rise an average of 22% per year, we're not at all optimistic that we'll be able to stay insured until we reach Medicare age...and it's frightening and frustrating. The ACA is a start at making healthcare more accessible, but nothing will bring down costs unless we enact something like Medicare for all – which would reduce paperwork and costs for providers, and most importantly, would give the government the power to negotiate fees. How about a deal the health care industry caps prices and includes a cost of living or rather inflation increase and in turn we put a cap on medical malpractice and put a system in place like they have with workers comp. They get less litigation and pay less in medical malpractice and in turn they maintain reasonable costs. The costs to them would be offset by lower medical malpractice insurance rates. That is only a part of the equation the next step would be a single payer system with a tax increase. There would be a dedicated tax increase but they price of coverage should should drop. This would make the coverage fair because everyone would have coverage and everyone would have access no matter their income. If people want better coverage give them a buy up option with insurance companies providing the buy up option. everyone pays somthing and loses somthing but everyone gains somthing and the system works better. Great.. Now us Canadians will have to erect a fence to keep out illegal Americans seeking our socialized medicine. Honestly though, anyone who believes the current system in the US is of benefit to anyone except the insanely rich is delusional. You guys lose 20% right off the top in profit, and now spend the highest percentage of your GDP on healthcare in the western world. The Insurance companies and their Republican stooges have got a lot of people in the states to believe the lie that socialized medicine is evil. One day I hope you guys wake up and realized how conned you really are. My entire paycheck for someone else's healthcare? Let me think. So I won't have a penny left? Then I'll quit my job because the ultimate result will be free healthcare and some free extra 'vote for me' $$$$ coming in from the Obama regime resulting in a net gain for me. Brilliant! Jack I am a young physician practicing on my own for a few years and it is frightening how screwed up the system is. Preventative care and basic education on how to stay healthy are non existent in our country and so much of our health problems could be prevented if there was any personal responsibility. In addition, I spend about 50% of patient care time on documentation and regulatory crap that does nothing to help patient care. We get paid 30 cents on the dollar to do something simple in office vs 4-5 times that if it is done in a hospital, and have to constantly practice defensive medicine trying to protect our practice from the one in a million and paying a fortune for malpractice. None of this helps my patients and unlike some people think I care a great deal for my patient's and try to use only evidenced based treatments and education to stimulate better health habits. Everyday I marvel at the inefficiency and burdensome regulations that take up so much time and provide so little value. There are so many things we can do to fix the system but too many highly paid lawyers, administrators, insurance company shills, drug companies, hospital lobbies, government regulators and agencies especially the FDA and even other less scrupulous doctors and patients who milk the system, line the pockets of our politicians and keep costs up and quality down. There is so much greed and corruption it is scary and disheartening. Why can't this country provide health care to Americans? Every other developed country takes care of its own. I am sick of labels such as "Obamacare" and, even worse, "socialism." Most of the people who throw that word around have no idea what it means. The problem with the new health care program is that it doesn't go far enough, but that's because Obama was hindered by accusations of "socialism." It's not evil to take care of the citizens of your country. What is evil is spending needed funds to destroy and rebuild other countries.